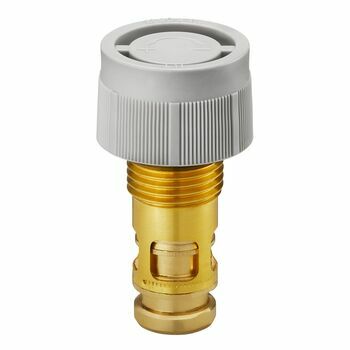 Valve insert GHQ with "Q-Tech"
For radiators with integrated distributor, with "Q-Tech" for automatic hydronic balancing, infinitely adjustable presetting, with G ½ male thread and thermostat connection M 30 x 1.5. 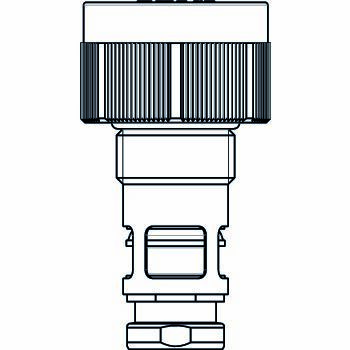 The valve insert is designed for the installation into the valve bodies of integrated distributors (e.g. panel radiators). 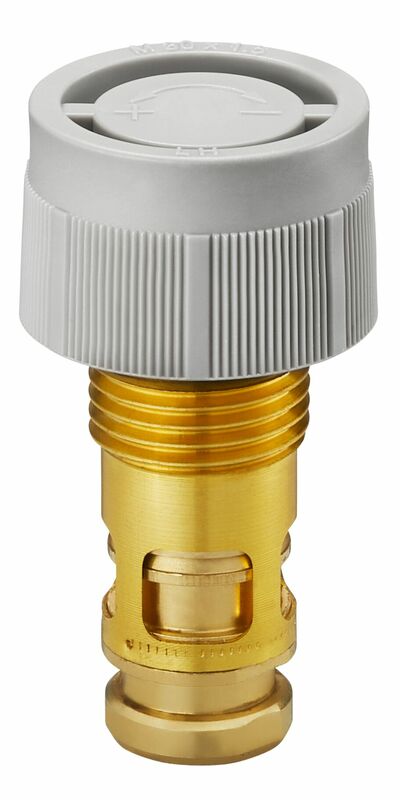 The valve insert is infinitely presettable for an automatic adaptation to the hydronic requirements of the heating system. Presetting is carried out by using the presetting key supplied with the valves. All valve inserts "GHQ" have a light green protection cap. 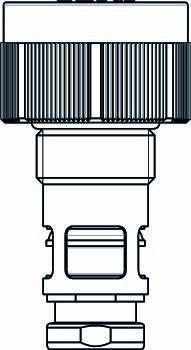 The valve insert is suitable for the radiator types, e.g. : Caradon, DURA, Ferroli/IMA, Henrad, Korado, Brugman (since 2013), Schäfer, Superia (since 2005), Thor (since 2005), Vasco.